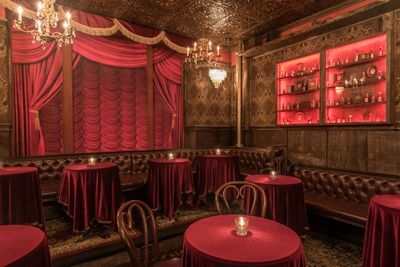 Twin brothers Mark and Jonnie Houston have outdone themselves again with a mysterious new magic theater and cocktail bar opening February 11 in the heart of Hollywood. 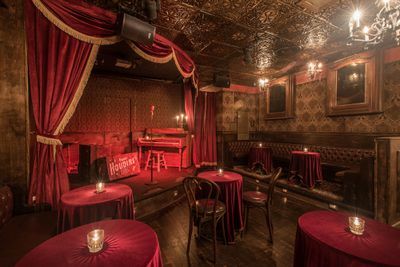 Born into the former Butchers & Barbers, the vintage-adorned space is a bar on one side, and a theater on the other, with ticketed shows on weekends curated by magician Rob Zabrecky. 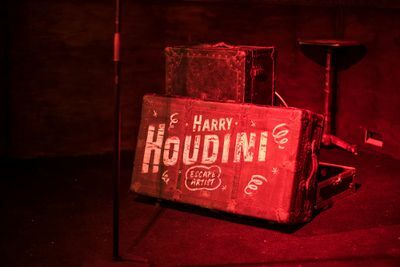 With illusionists, magicians, burlesque dancers, and other performers, it’s perhaps a logical extension of the Houston Brothers’ other spots, like No Vacancy, Dirty Laundry, Pour Vous, and La Descarga, which have always adopted a kind of transformational, spectacle-driven approach to nightlife. 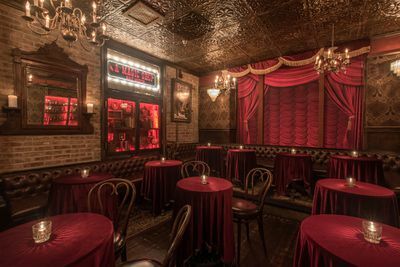 Think of the place like a mini version of the Magic Castle, a legendary industry hangout where dapperly dressed members and their guests enjoy food, drinks, and magic tricks. After the ticketed shows earlier in the evening, Black Rabbit Rose opens up into a larger bar with drinks and impromptu performances. 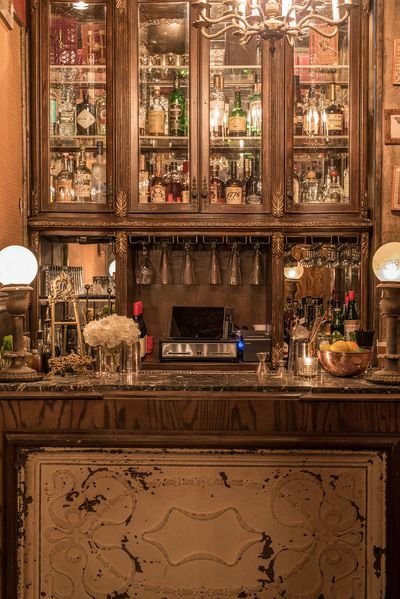 To sip, one could enjoy a Smoke N’ Mirrors, mixing gin, sweet vermouth, Campari, and smoked hickory or a Bullet Catch, fusing mezcal, lime, honeydew, and habanero tincture. To munch on, Chinese-Thai inflected Crying Tiger, which has a takeout window next door on evenings Black Rabbit Rose is closed, will bring over anything from pork egg rolls, shui mai dumplings, and pad thai to hungry guests. 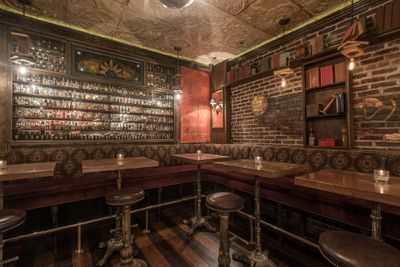 Black Rabbit Rose is open Tuesday to Saturday, with ticketed performances from Thursday to Saturday. 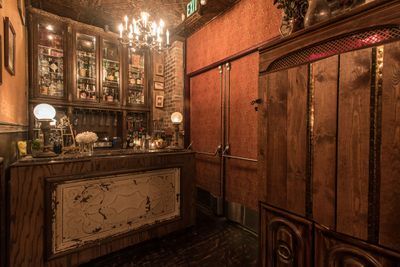 “Black Rabbit Rose Revives the Magic Theater in Hollywood.” Eater LA – All. 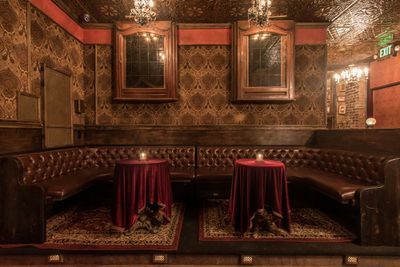 http://la.eater.com/2017/2/9/14562154/black-rabbit-rose-magic-theater-hollywood-houston-brothers-los-angeles.